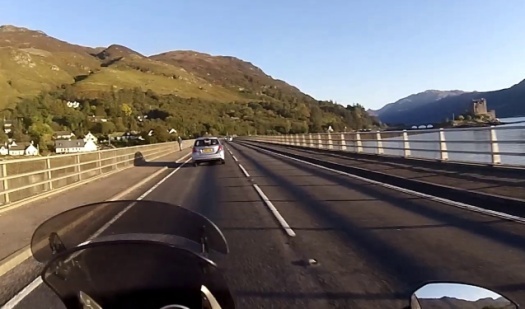 We offer a free trial under the IAM's Scotfree initiative ( https://www.iamroadsmart.com/campaign-pages/end-customer-campaigns/ride-scot-free ) which will give you an idea of what advanced riding is all about. 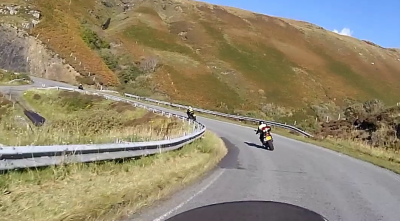 Hopefully you will take away some pointers to help with your riding. The formal traning is enhanced by informal rides taking in much of what Scotland has to offer. Getting to know the group and social side brings out friendships and common interests. With the principle aim of bringing safety to riding, awareness of the challenges and threats faced by our busy roads, advanced riding focuses on rider ability combined with the pleasure of riding safely and confidently. Putting the safety and enjoyment into riding along with awarness of our surroundings is fundamental to advanced riding. Advanced riding techniques ensure we utilise our instincts and provide the right tools for dealing with challenges presented on todays modern road network. Whether you're just starting out in biking, recently passed your test or been biking for many years all are welcome. Our observers aim to help you gain the necessary riding skills to put safety and confidence into your riding to provide a pleasurable riding experience. It doesnt matter whether you're looking to prepare for your advanced IAM test or put knowledge and confidence into your riding the group's observers aim to provide encouragement to all new associates. Those wishing to prepare for the advanced test will need to enrol in the Skill for Life process which will be both challenging and enjoyable. The members of the group will make you feel very welcome and you will find them extremely supportive. In addition a pass will earn you a discount on your insurance. In the summer months April – October we meet for training runs at Monkton Lodge, Monkton every Tuesday evening at 7:00pm, a group run once a month and every other Sunday during the winter months for social/training runs. Alternatively we can usually arrange personal tuition if the fixed Tuesday night sessions are inconvenient. The Tuesday training runs are arranged for you to be matched up with an observer who will follow your bike for an observed run out on the road for around 1 – 2 hours on the road per session. The route generally covers all types of roads and hazards and the observers may lead / demonstrate and pass on practical advice at various stages on the way. The informal group runs are a regular feature in the group's calendar. All members and friends are welcomed on these runs. Associates who are preparng for test, or may just want a little guidance, are welcome to ask for part, or all, of their run to be observed. Others may want to put what they have learnt into practice. Advice and guidance is always on hand and continual feedback provided if requested. Social functions form part of the friendships created and regular events are organised throughout the biking calendar. The keynote is - ENJOY!! Our observers are all experienced bike riders who have passed the Advanced IAM Test along with further extensive training and assessments to be a national and local observer. Their training enables them to pass on their skills and knowledge to associate members.